Dedicated to your overall good health, Rockville Internal Medicine Group’s team of physicians, board certified in Internal Medicine or Family Medicine, are focused on preventive and primary care. 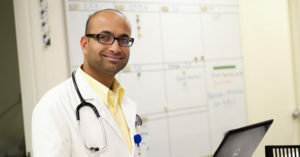 Our physicians and staff look forward to being lifelong partners in your good health. The Rockville Internal Medicine Clinical Laboratory is open Monday through Friday from 7:15 am – 4:30 pm. All laboratory tests must be ordered by your physician. If the orders for your lab tests have been placed in advance, then no appointment is necessary. If the lab tests require you to be fasting (most lipid, cholesterol, or diabetic testing), then you should not have anything to eat or drink, except your medicine and water, for at least eight (8) hours prior to the testing. Most laboratory testing is done on site. 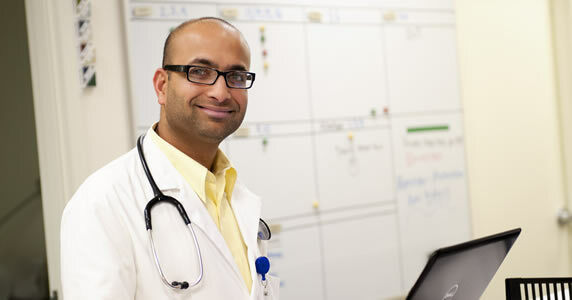 To provide 24-hour hospital coverage, Rockville Internal Medicine participates with Inpatient Specialists. This allows for a physician to be present and available in the hospital at all times. The Inpatient physician will be in contact with your doctor during your hospital stay, and all details of your hospital stay will be communicated in a timely manner after your discharge. Your annual physical exam is an opportunity for you and your doctor to update your medical history, make note of any changes in your family medical history, and reconcile your medications. It is also a time for your physician to assess safety concerns and focus on lifestyle habits such as diet, exercise, alcohol and tobacco use. Your doctor will make sure that you are up to date on preventive health items such as immunizations, and age-appropriate health screenings such as colonoscopies, pap smears, mammograms and PSA tests. Usually, fasting blood work is done prior to the annual exam so that you and your doctor can review the results together at the time of the visit. We realize that sometimes other medical concerns arise during your annual physical exam. It is important to keep in mind that those issues may not be part of the annual physical exam. Your physician may ask you to schedule another office visit to address those concerns. If your doctor is able to address those concerns in the allotted time for your annual physical exam, please be aware that you may be billed for an office visit in addition to a physical exam. We are simply saving you another trip to the office by addressing all of those issues at one visit.